Every student has his own unique learning style but children with disabilities experience some unique struggles in school. Keep reading to learn about the rights of disabled students and the services for which they might qualify. Things like ramps and automatic doors are basic services that can be very helpful for physically disabled students in school and in the world in general. But many physically disabled children find that they experience a great many challenges in school – challenges that many schools are simply not equipped to deal with. If you are the parent of a disabled child, take the time to learn about your child’s rights and about the services that exist for children like yours. Once you are equipped with this information, you can take it to the school board and fight for your child’s rights. 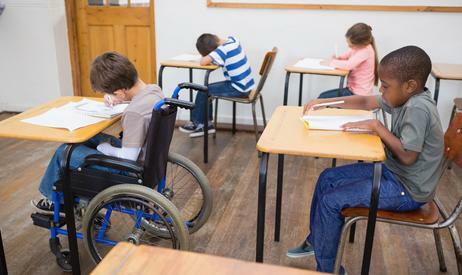 The Americans with Disabilities Act (ADA) – This act requires that every educational institution (other than those operated by religious organizations) meet the needs of students with disabilities. Knowing the laws that protect your child is important for a parent. If you feel like your child’s needs are not being met, these laws give you the right to request an evaluation for your child in order to determine his specific needs in regard to education. This evaluation might include things like educational testing, a psychological evaluation, behavioral analysis, occupational therapy assessment, and a speech and language evaluation. Does Your Child Need an IEP? Federal law dictates whether or not your child qualifies for special services – you have no control over that. But you can play an active role in developing your child’s independent education plan. If your child qualifies for an IEP, it is extremely important that you be an active participant in its development – after all, who knows your child better than you do? What Services are Available for Disabled Students? Physical Therapy – This type of therapy is specifically geared toward improving a person’s gross motor skills – those that involve the larger muscles in the body. Through physical therapy, a disabled student can improve strength and endurance as well as range of motion and muscle tone. In school, physical therapy is often aimed at helping the student move through the school environment, participate in classroom activity, and manage things like stairs, restrooms, and the cafeteria. Physical therapy can also be very helpful in improving mobility for children in wheelchairs. Occupational Therapy – This type of therapy is aimed at helping students to engage in regular daily activities for work, school, play, leisure, and social activity. Occupational therapy also helps to teach the student how to engage in self-help activities such as using the restroom, washing the hands, tying shoes, and dressing himself. Occupational therapy can also help with fine motor skill activities such as handwriting, typing, or using scissors and silverware. Speech/Language Therapy – Students who struggle to communicate as a result of their disability may benefit from speech or language therapy. 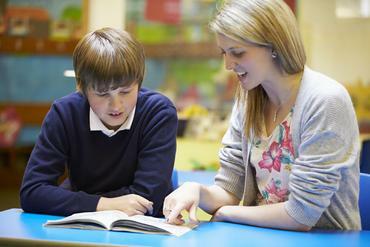 This type of therapy can help the student with oral motor function to improve his speech ability or it may be focused on finding alternative ways to help the student communicate. Classroom Aide – Some students need a little more one-on-one help than other students. In cases like this, the school may provide a classroom aide for the student to help the child complete classwork and participate in classroom activities. The services a classroom aide provides will be individual to the particular student and his disability. Other Accommodations – In addition to actual services, physically disabled students can benefit from other accommodations such as wheelchair ramps and elevators. The school may also make space accommodations, offering handicapped restrooms and classrooms with ample space for a child on crutches or in a wheelchair to maneuver safely. Schools are required to have transportation available for students with physical disabilities and in cases where the child requires a service dog, additional accommodations may be made for that as well. As a parent, you always want what is best for your child. Unfortunately, if your child is disabled then you might have to fight a little harder to defend his rights. 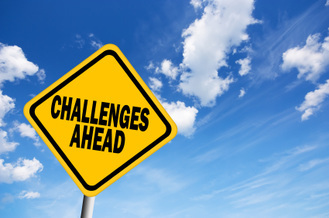 Though there are certainly schools out there that work extremely well for students with unique learning needs, many schools are resistant to change and are more worried about maintaining the status quo than ensuring that the needs of individual students are met. If your child has a disability, it is your job to make sure that his teachers and his school know about it, understand it, and are willing to make accommodations for it.